When high-conflict divorced co-parents can not agree on matters regarding the children’s welfare, they often turn to litigation. When parents return frequently to the courts for resolution of their disputes, often the courts appoint a Parenting Coordinator to mediate their disagreements. 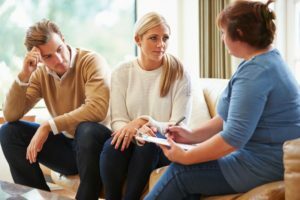 The Parenting Coordinator can help divorced couples determine a Parenting Plan including Visitation Time, Educational Needs, Medical Issues, and Legal Rights. For more information about Parenting Coordination, contact the Milford, Michigan law office of Kathryn Wayne-Spindler & Associates at 248-676-1000. Attached is a sample of a court-approved Michigan Parenting Coordinator Agreement. It includes information about Services Provided, Terms of Service, and Grievances.